In 2009, my sister and I were planning my mother's memorial service. She died at the age of 95, and even though it had been expected for some time, there was still the process of grieving and planning to lay her to rest next to my father. I was obsessing about the date and time we had chosen in order to accommodate my son's schedule. He had just been ordained a Catholic priest and we had asked him to officiate at the memorial. There were some family members who just weren't able to make it at that time. Immediately, I felt a weight lift off my shoulders. It was no longer my responsibility to make sure we met the needs of all of our family and friends. The fact that other people had made plans for that date was something out of my control. In short, it was what it was. So I dedicate this article to my sister who gave me the idea and much peace of mind. I have never been a fan of cliches. They are cute the first few times they are used, but quickly become overused and their meaning becomes watered down. An example of this is “that is wrong on so many levels.” That sounded cool when I first heard it. Then I heard it again, and again, and again. I started to think, “what does that mean exactly?” How can something be wrong on many levels? What levels? Can’t it just be wrong? Why does it have to have levels of wrongness? And then the cliche just sounded stupid. So you are probably wondering why I wrote an article about the cliche “it is what it is.” The phrase has been very popular in sports circles, and since I don’t follow sports, I guess I had not experienced the over-exposure. I find myself saying it quite often whenever I find myself in a stressful situation. It has the effect of immediately calming me down. If it is very hot on the way home from work, I remind myself that it is summer and say, “it is what it is.” I have no control over the weather, and no matter if it is hot, cold, raining, or snowing, grumbling about it has never changed it. Not everyone likes the phrase “It is What It Is,” just as I don’t like some other cliches. I thought it was important to provide those points of view as well. In an article entitled, ”It Is What It Is.” Really?” author Nicholas Clairmont makes some interesting points. He goes on to say, “But it is the context in which is this phrase is used where we see the situation really becomes dire. I have to agree that it would be all too easy to use the phrase to say there is no hope or to point out that there is nothing you can do to make things better, so why try? I hope that I can re-direct that thinking into a different view, one that does much to bring inner peace. "I'm not sure what the future holds but I do know that I'm going to be positive and not wake up feeling desperate. As my dad said 'Nic, it is what it is, it's not what it should have been, not what it could have been, it is what it is.'" In1971. 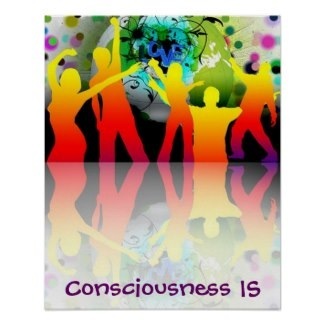 Ram Dass wrote the book, Be Here Now which I found very inspiring. Ram Dass’s real name is Richard Alpert, and he was a psychology professor at Harvard. He and Timothy Leary experimented with LSD. Alpert dropped out of academia and the drug culture and traveled to India, where he met his guru, Neem Karoli Baba. From his guru, Alpert received his name Ram Dass, which means Servant of God. Follow Your Path Postcard by kcranmerart at Zazzle. Fast forward from 1971 when Be Here Now was published, to the present time. 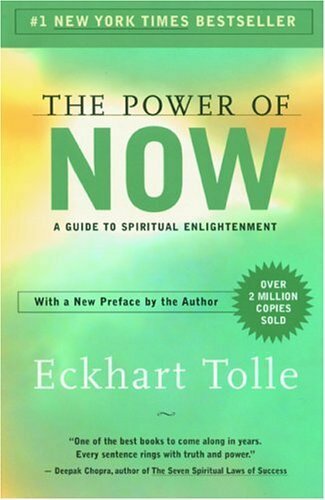 A current popular book is the Power of Now by Eckhart Tolle. What does this book have to tell us that is new and different? Or is it just that he has re-told it in a way that people can relate to? Eckhart Tolle Speaks on Not Reacting to Content. As always, the author expresses it better himself, so I encourage you to watch the following video. 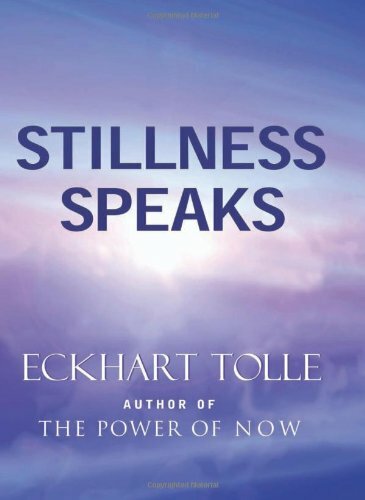 Eckhart Tolle's book "The Power of Now" is not just a re-statement of timeless concepts, it speaks in a language we can all understand. 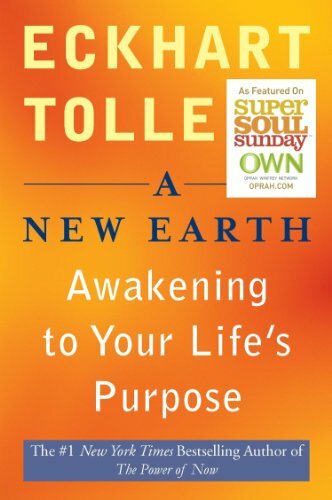 His later books take the same concepts and dive deeper into the teachings for personal transformation. "As you embrace the present and become one with it, and merge with it, you will experience a fire, a glow, a sparkle of ecstasy throbbing in every sentient being. As you begin to experience this exultation of spirit in everything that is alive, as you become intimate with it, joy will be born within you, and you will drop the terrible burdens of defensiveness, resentment, and hurtfulness...then you will become lighthearted, carefree, joyous, and free." If we are honest, we will admit that we often think in terms of “if only.” If only my parents had done this, or hadn’t done that. If only I was born smarter, or better looking. If only I had lived in a better neighborhood. Not only is It What It Is, it also “Was What It Was.” This means that the past is over. We cannot control what happened in our childhood. We cannot change who our parents were or how we were treated. The only thing we can change is our reaction to those events. I found a great article that speaks to this concept from someone who has struggled to come to terms with her own dysfunctional family. This brings us right back to the other concept of the Power of Now. The only thing we have is now. To focus on what happened in the past causes us to miss the adventure that is happening today. I found this little book in a used book store and gave it to my daughter who was going through some rough times. I am going to have to pick up a copy for myself, for it is packed with little vignettes that fit in with what we are talking about here. 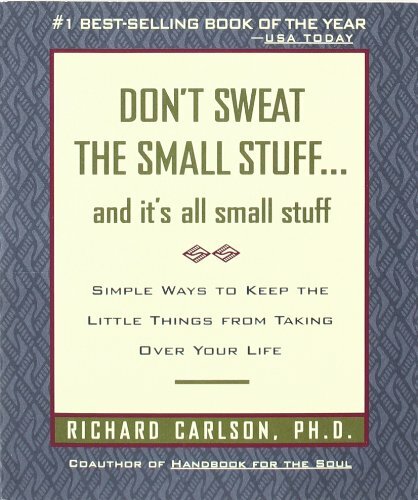 The author, Richard Carlson, PH.D, put together helpful hints to show us how to keep the little things in life from driving us crazy. Richard Carlson passed away in December 2006. His wife Kristine maintains the Official Website, Don’t Sweat the Small Stuff where you can learn more about his books and life story. If you are like me, you'll end up giving yours away to someone who needs it. "The unknown is what it is. And to be frightened of it is what sends everybody scurrying around chasing dreams, illusions, wars, peace, love, hate, all that. Unknown is what it is. Accept that it's unknown, and it's plain sailing." I had heard of the movie Peaceful Warrior but never got around to seeing it. I decided to rent if one day. If you haven’t seen it either, go rent it today. Or better yet, buy it for your spiritual library. It is based on the book, The Way of the Peaceful Warrior by Dan Millman and is a true story of his life. Those who know me, or have been reading my other articles know that I walk a pagan path. Therefore I would be remiss if I didn’t include some insights from that perspective. Raven Grimassi is a well known teacher and practitioner of magical systems. In the book, Spirit of the Witch, he includes “mini-teachings” that many of his students had written down after talking with him. If you have been following along with the previous modules, you will recognize a recurrent theme. The more often I pick up this book, the more I find to learn. Guess What, Dennis. I Get It! We’ve been going around in a big circle and we’ve come back to the phrase, “It is what it is.” Haven’t we spent a lot of time and energy exploring just a few simple words? The answer is “Yes”. More appropriately, instead of traveling in a circle, we have been traveling in a spiral, coming back to the same place, but at a deeper level. Sometime the simple phrase is so simple that we either ignore it or pass it off as unimportant. But when you have dug deep into the essence of it, or “grokked” it as Heinlein would say, then when you repeat those words they resonate at a deeper level. So instead of thinking that it doesn’t matter, or that we are powerless, we begin to realize that it we do have power….to change our reaction to life’s events. “It is what it is” can then become a mantra to remind us to stay focused in the moment, not to sweat the small stuff, not to dwell on past events that we cannot change, and that accepting “what is” is a way of freeing us from our pain and suffering. “IS… is a complete lack of judgment. It is not modified by words like “good” or “bad”, or “right” or “wrong”. It stands independently, all by itself. If something just IS, it has no power to disturb my peace. It is not judged as “bad” and therefore doesn’t have to become “good” to make me “happy”, for I am happy with it as it IS. Nothing is “wrong”, and therefore I don’t have to be “right” and impose my will on others, or on events to make them fit my judgment of what they “should” be. So I tip my hat to one of my teachers – guess what, Dennis, I “Get It” I recommend you visit his website, "IS -Spiritual Insights, where he has provided a free e-book of the same name. 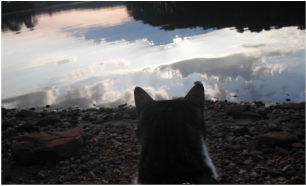 Photo of our cat Wiley at West Point Lake in Georgia. Hey, What Does Grok Mean? If you are unfamiliar with Robert Heinlein’s Stranger in a Strange Land I suggest you pick up a copy of one ASAP. One cannot go through life without understanding what it means to Grok something. Stranger in a Strange Land is the story of a human child who is stranded on Mars and raised by Martians. The word “grok” literally means “water” and because water is scarce on Mars, the Martians ritualized the drinking of water with becoming one with water and the water becoming one with the drinker. They “grok” each other, So to grok something means to understand it so totally, that it becomes a part of you. 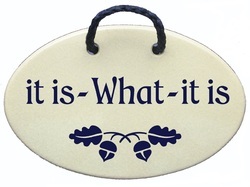 If you can achieve this deep understanding of the phrase, “It is what it is,” then it becomes magickal and can instantly transform something stressful and frustrating into an inner peace. Ah, the answer is simple and complicated at the same time. In the words of those we have been studying, it is still what it is. Whatever is happening in the moment, is happening. We see that someone is being assaulted on the street. If we are being totally in the moment, and not feeling sorry for ourselves because our girlfriend/boyfriend just broke up with us, we will be able to connect to the Power of Now, the energy that is available to us at every moment, to react in the best manner possible. What that action is would be determined by the moment. No one denies there are terrible things that happen, both on an individual level and a global level. It is how we decide to react to them that makes all the difference. At that, my friends, is yet a topic for another article. Photo of me at my favorite place on earth - looking at Lake Superior near the Copper Harbor Lighthouse in Michigan. "Do what you can on this plane to relieve suffering by constantly working on yourself to be an instrument for the cessation of suffering. To me, that's what the emerging game is all about." If you feel a little dizzy, don't feel bad. So do I. Don't worry, it doesn't last long. But maybe, sometime soon, you will feel the urge to worry, or get angry, or upset, and 5 little words will pop into your mind. It is what it is.....there don't you feel better? I must admit though that I still don't GROK it and repeatedly come back to this article to refresh my memory. Sometimes I even wonder how some things can be "small stuff." In Feb. 2017 my husband died suddenly. Small stuff? I don't think so. Still, as most of the books I mentioned, it is how I react to it that is the message from It Is What It Is. Comments are unavailable on this page. If you hop on over to the Notes from the Crossroads blog you can leave a note...I'd love to hear from you. Header image is of the clear, clean water of Lake Superior from the dock at Copper Harbor in the Upper Peninsula of Michigan. The Canadian gooseis one of a gaggle of geese that greeted us that day.